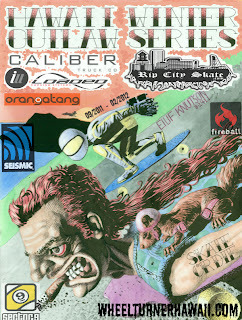 Hawaii Winter Outlaw Series Event 1. - The Hawaiian Ridge Rusher. - Meet @ Sharks Cove beach park. 10am sharp. Carpool to the race hill @ 1030am. - HELMET and GLOVES are a MUST. Full pads/leathers strongly encouraged. Get ready for the first event of the H.W.O.S... its gonna be a good one. We will be racing a awesome closed course on the tip of the Hawaiian mountains. A little under a mile of butter smooth pavement. The roads got a few ups and downs with several quick bending sweepers. It is lined with guardrails so we ask that you please know how to footbreak and drift even though the course may not need it. Please bring your helmets, pads and gloves and we will see you on Sep 24 for some fkn rad skateboard racing. H.W.O.S getting lots of support! Are all on the list of sponsors for the Hawaii Winter Outlaw Series... with more sponsors still to come! Next month is the first race, details out in days. This year we have a early registration special available. Reserve a spot by emailingStokedSkaters@aol.com or signing up on WheelTurnerHawaii.com and pay your full series entry of $90 by September 17. 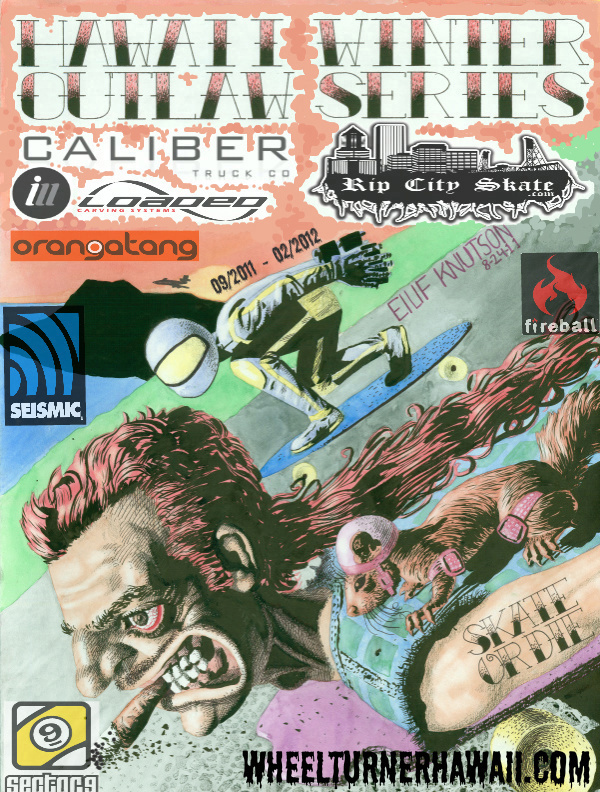 By doing this you will save $10 on entry fees and get a series schwag bag… you will be stoked! If you choose not to do this, please have your name registered ( no payment needed to register name, pay day of event ) for each race three days before the event or it will be a $5 late fee on top of the entry fee. Aiea Loop. Meet & Greet / Buy ,Sell &Trade. Aiea Loop Meet & Greet / Buy, Sell and Trade. BBQ will be there, so bring food to throw on.